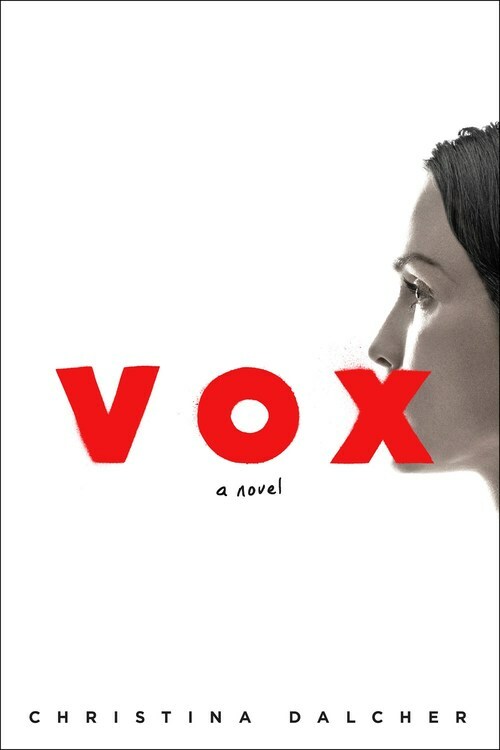 "An intriguing read for fans of The Handmaid's Tale..."
Set in the near future, VOX by Christina Dalcher is a provocative thriller, exploring the power of language, and what happens when women's voices are literally silenced. After the election of a conservative president, heavily supported and influenced by the religious right, American women suddenly live in a world where they are required to wear wristbands that count how many words they say, and limit them to 100 words a day, sending shocks that grow in strength the higher they go over the limit. They can't have jobs, their bank accounts are emptied, and they have little to no rights beyond what their husbands or fathers will allow them. Dr. Jean McClellan, a former sociolinguist, mother of four, and married to a government scientist, struggles in her new reality. Her teenage son appears to be aligning himself under the new regime's ideals of male superiority, and her five-year-old daughter has become a shell of her former self, terrified of what will happen to her if she goes over 100 words. And her husband, Patrick, would rather turn a blind eye to the injustice surrounding them, instead of standing up for what is right. A thought-provoking thriller, VOX by Christina Dalcher is an intriguing read for anyone looking to fill The Handmaid's Tale shaped hole in their life. Clearly influenced by the feminist classic, VOX is a thoughtful novel with a powerful message. Jean is frustrated, overwhelmed, and deeply concerned with the reality she lives in. She wonders how it all happened, and how anyone could have actually let it happen. The set up of this novel really works and will keep readers engaged and invested to read to the end. The climax and eventual resolution of the book were somewhat disappointing; not in the ultimate ending, but in the sequence of events and rushed denouement. I did find that I cared about the characters, and wanted to find out how the book would end. The beginning was incredibly strong, but ultimately I was not totally satisfied with the ending. Nonetheless, Dalcher is a talented writer, and her background in linguistics is proudly on display throughout. This book will definitely get people talking, particularly during the current political climate.